Looking for ideas for a family tree project? Whether you are a practiced genealogist or a family member looking for a way to publish your family history to other family members, there are many options for fun, creative family tree projects. Most people are interested in their family history; however, not everyone is interested in or has the time to devote to a full-fledged genealogy hobby. If you are tracing your family tree, one of the best gifts you can give your family members is their family tree. Most genealogy software programs provide the capability to publish pedigree charts which can, in turn, be given to family members. Whether you mount and frame the chart or merely include the chart with a note to the family member, you will be providing that family member with a direct link to their ancestors. When you add crafting skills to your genealogy skills, you can create an even more engaging family tree project for yourself or a special family member. Remember, the craft skills or the finished project are not the central focus of your family project – the focus is the information. So, jump in and consider how you can share this precious family history information with your family. A good way to select a family tree project is to start with the purpose of the end product that you want to create. Are you looking for something that provides lots of information and photos or would you like to tell your family history story with other family treasures such as Grandma's special apple pie recipe. Genealogy lends itself particularly well to scrapbooks. Family photos and family tree clipart can produce beautiful and informative scrapbook pages which can become heirlooms in their own right. Pages can be further enhanced if you are lucky enough to have words from your ancestors in the form of letters, journal entries or Bible notes. Add small sections of maps showing where specific family members were born or lived. Combine old photos with anecdotes you know about your ancestor such as what they did for a living or what they were particularly known for – like Great Grandpa's first job as a paperboy or Great Great Grandma's likelihood to win the pie contest at the annual state fair. You may have already provided family members with copies of the pedigree chart showing the results of your genealogy research. That simple black and white printout can be elevated to wall art with the addition of a larger 18 inch by 24 inch chart framed with a beautiful mat. If your software won't print a large pedigree chart, take a smaller chart to a photocopy store and have it enlarged.For added visual appeal consider printing the pedigree chart on sepia-toned paper stock or placing photos of your ancestors on (or in) the mat. You can also consider hand lettering the names on the chart or adding small thumbnail-sized photos onto the chart. A fun idea for a reunion or child's room is a wall-sized pedigree chart. Cover a wall with a large sheet of paper and then project a completed family tree onto the paper. Use the projection to trace the lines and boxes, entering the ancestor names in matching or contrasting ink. You can embellish the chart with large photo copies of some or all of your ancestors. Most families have time-tested recipes that have been handed down through the generations. These recipes, combined with stories about the recipes or pictures of your family enjoying the recipes, are the beginning of a family cookbook. Family tree projects don't have to be elaborate to be memorable. The key is to include the family history information in a way that projects the importance of the information and the ancestors. 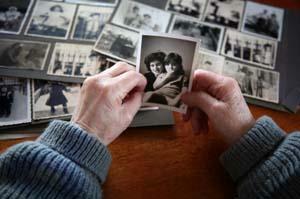 Family Tree Scrapbook – This LoveToKnow article provides tips and ideas on combining family memories into a scrapbook. The Art of the Family Tree: Creative Family History Projects Using Paper Art, Fabric and Collage – This book provides projects for people with all different levels of expertise in genealogy and crafts. Directions and photos are included for family tree books, family tree artwork and multi-dimensional family trees. Family Tree Page Ideas for Scrapbookers – This craft guide contains ideas for fifty family trees in a variation of styles. Multiple charts and patterns are included to help the crafter customize their project. Research tips are included for novice genealogists, including sources of easy-to-use family tree software. Implementing ideas for a family tree project is an excellent way to share family history information with other family members. The project does not have to be elaborate. The focus of the project should be on the information provided, not just on the crafting skill.